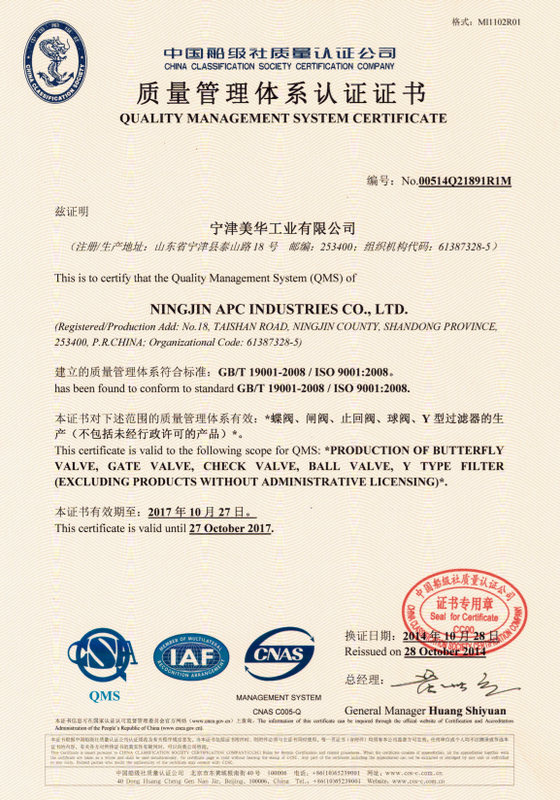 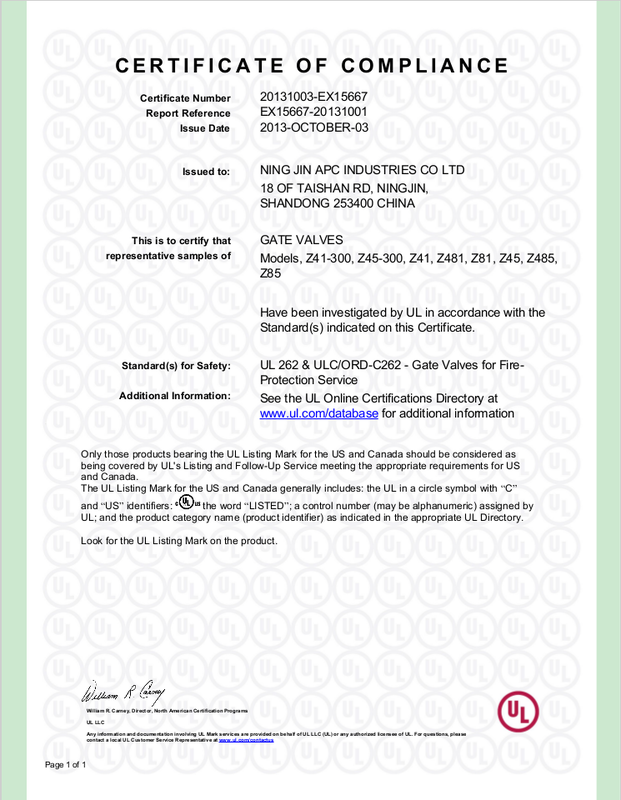 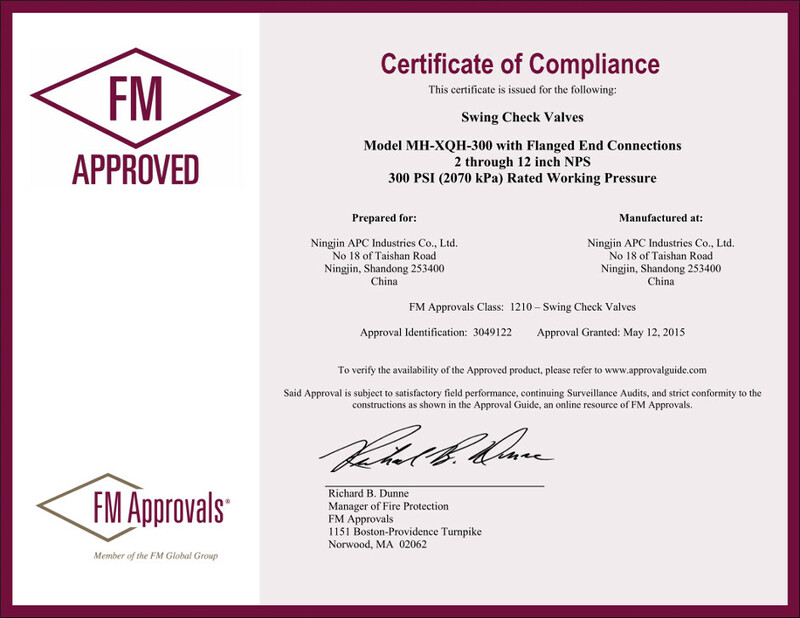 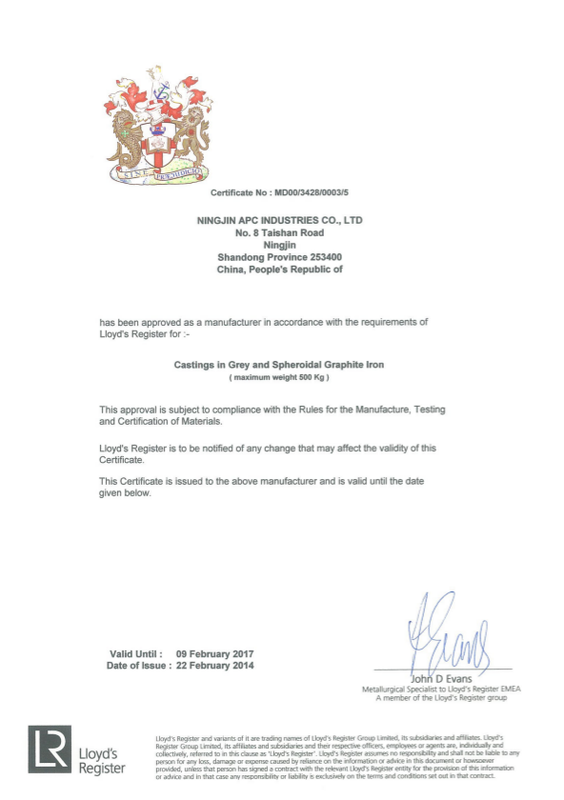 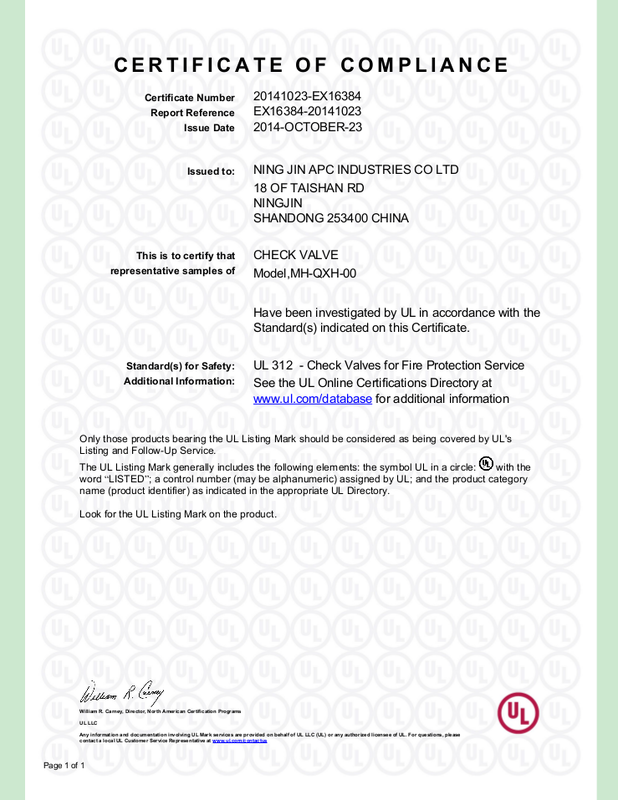 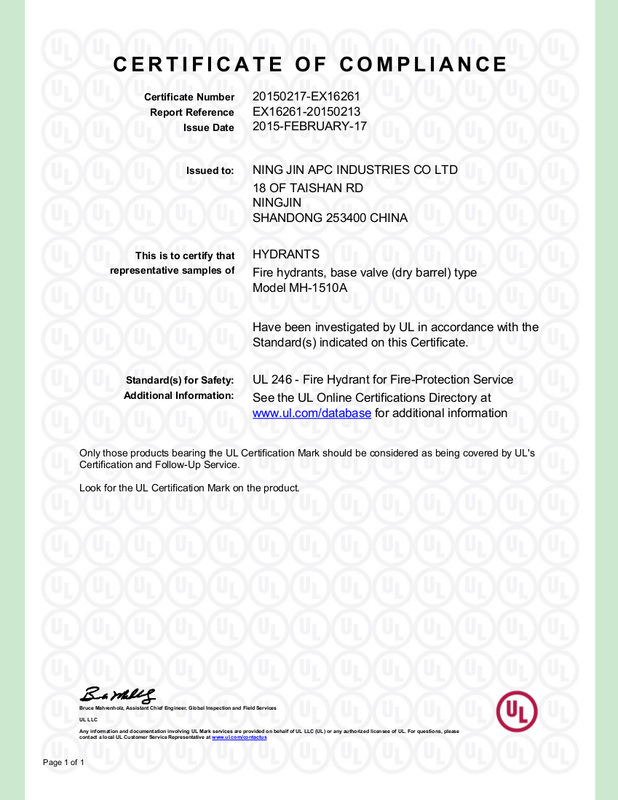 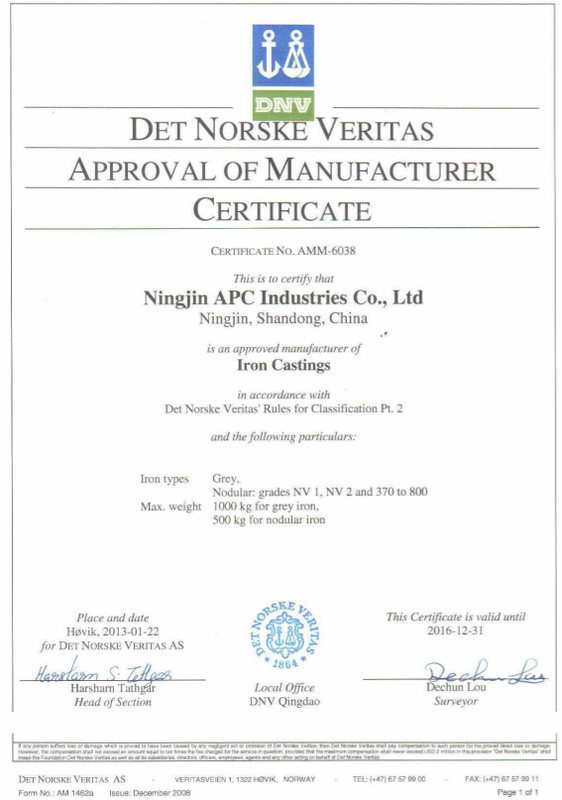 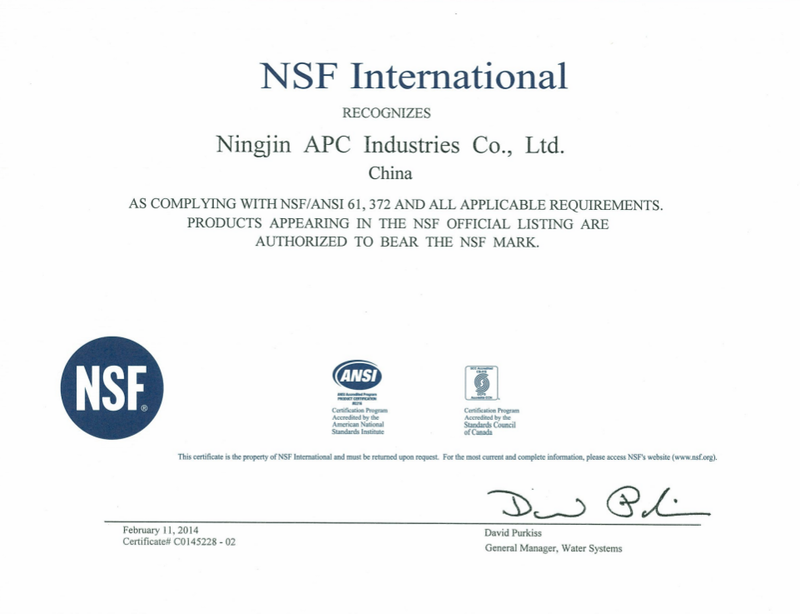 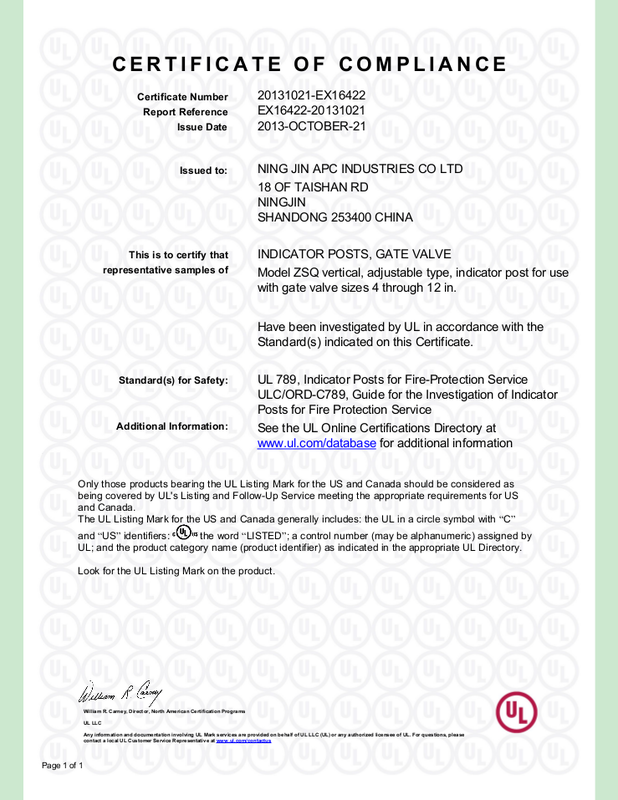 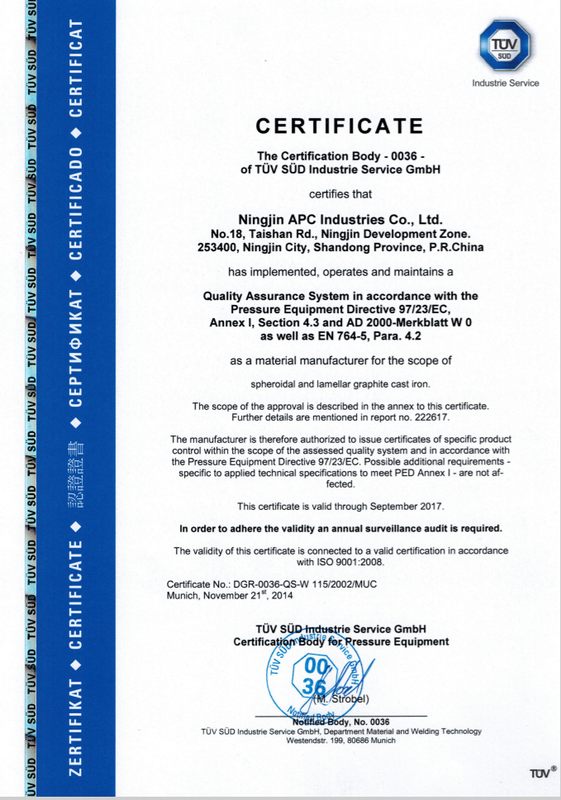 All Ningjin APC Industries products have been certified safe. 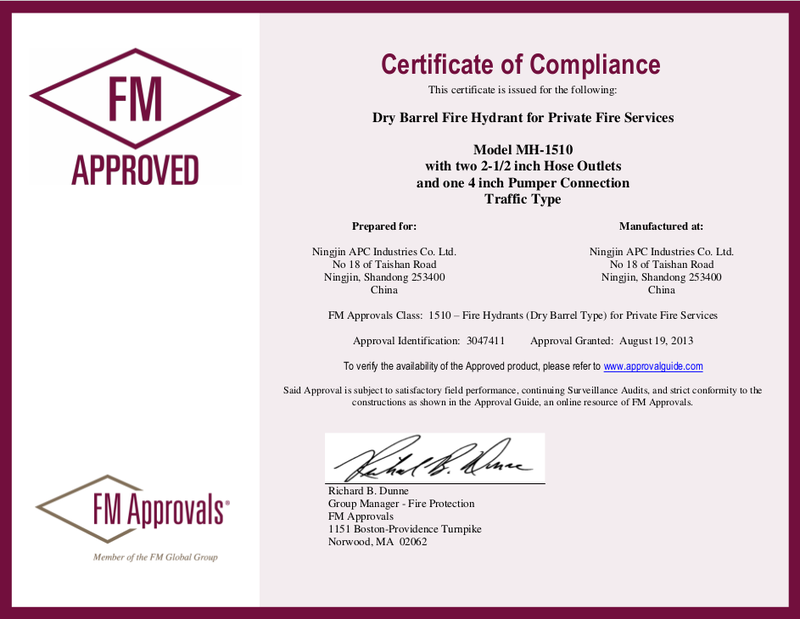 We take pride in having been approved by numerous international organizations, and our products can be used with assuredness anywhere. 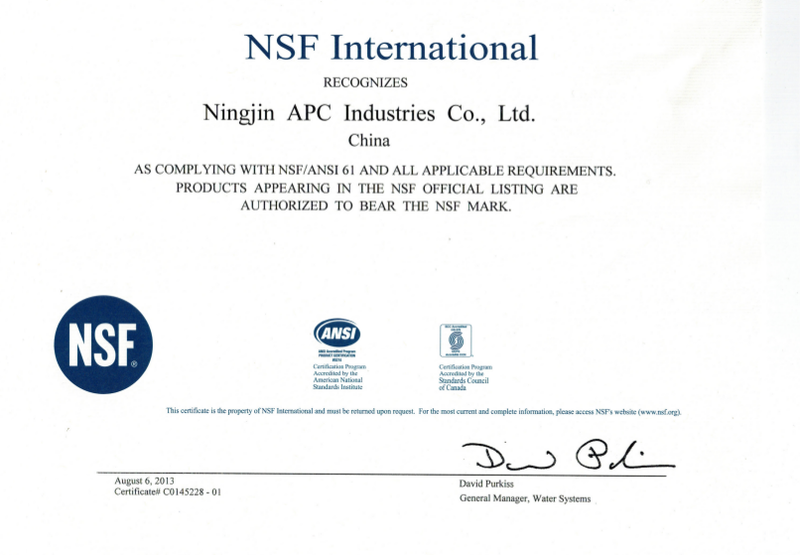 Here, each product is designed and engineered according to certain standards, and tested according to testing standards that have been dictated by several international organizations. 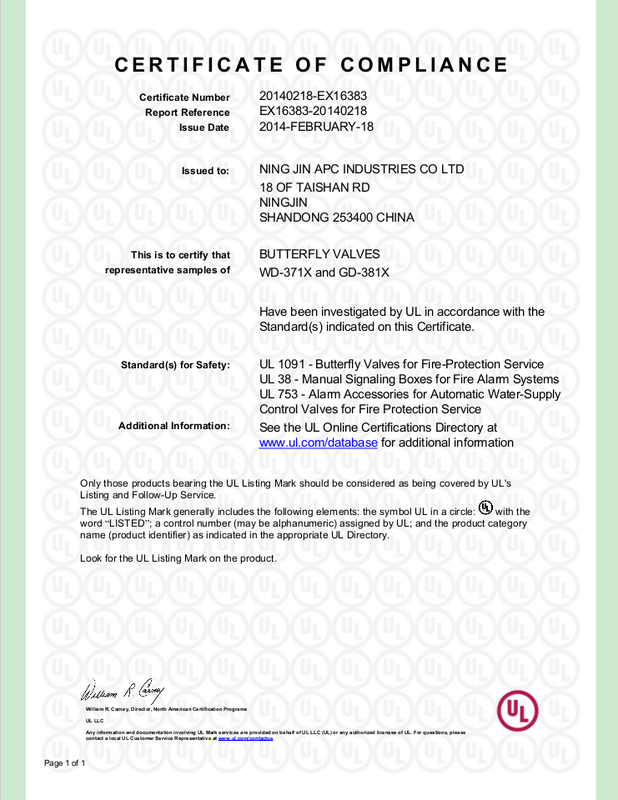 Our company is dedicated for the safety and quality of the products, so we have made sure that every sale is certified and legal. 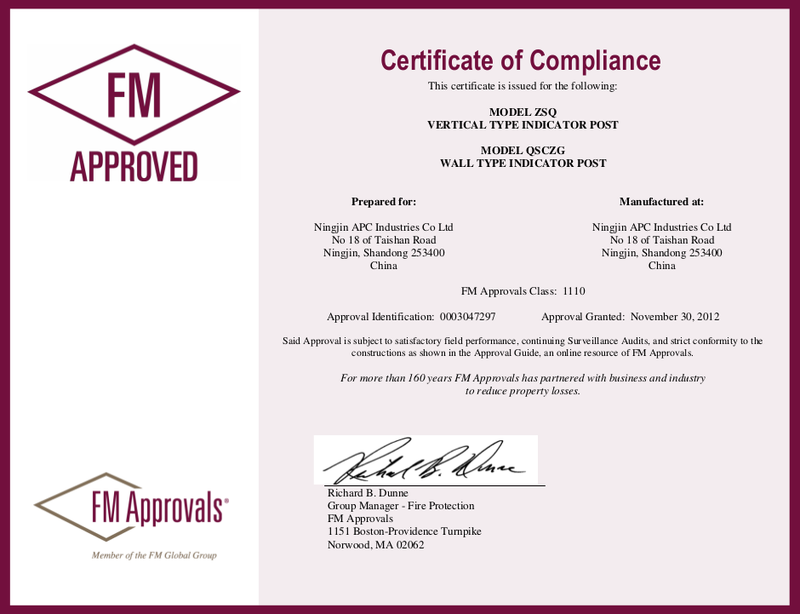 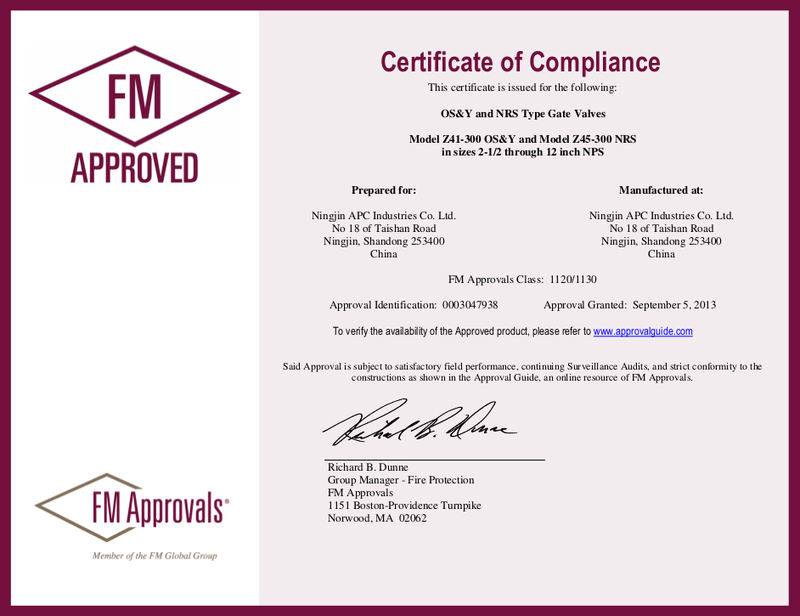 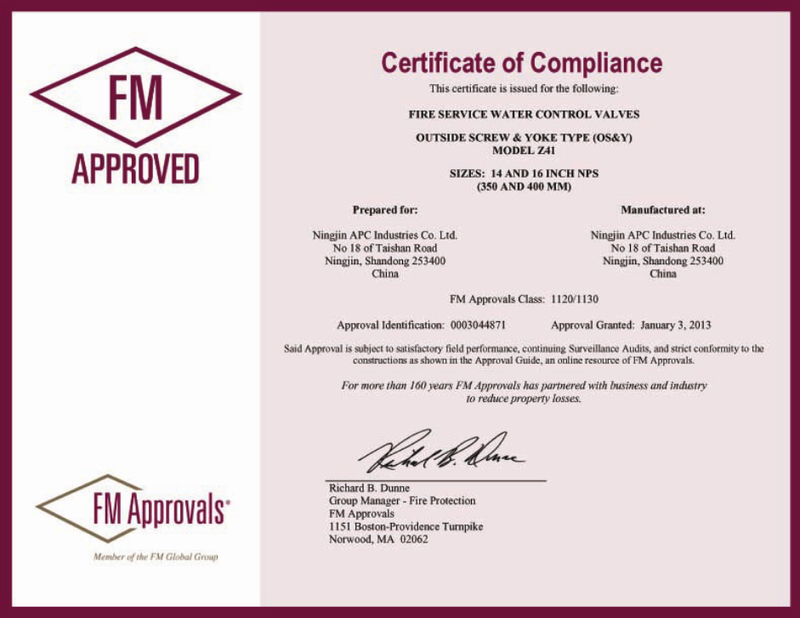 Our certifications include: one from the TUV, and another from the Det Norske Veritas along with a manufacturer approval certificate, one from the IAF and LR, one from the NSF, and of course, all our products are UL FM approved.